Read more about the Israeli Currency exchange rates, bank notes and coins, using credit cards in Israel and Israeli Automated Teller Machines here. The Bank of Israel supervises all the banks in the country. Its headquarters are in Jerusalem near the Knesset, and it has one main branch in Tel Aviv in the heart of the city's financial center. Israelis sometimes complain about the overly conservative policies of the Bank of Israel. Yet thanks to its ‎risk-averse approach, the Bank of Israel succeeded in protecting the Israel banking institutions during the worldwide financial crisis of 2008 - 2009. Unlike many other countries, the Israeli economy and Israeli financial ‎institutions were relatively unaffected and no bank collapsed. 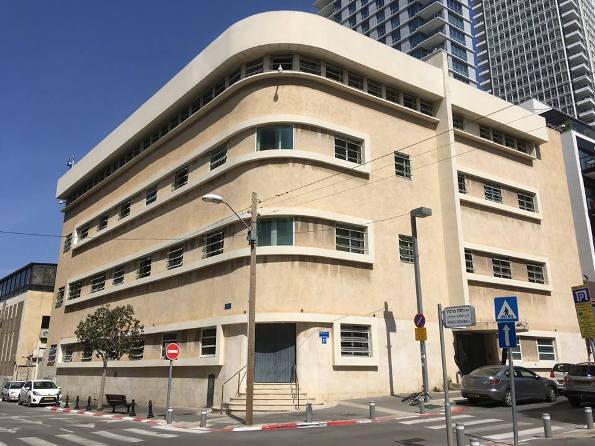 The Bank of Israel has an interesting Visitor’s Center at 37 Lilenblum Street, at the corner of Nahalat Binyamin, that is geared for adults and children. 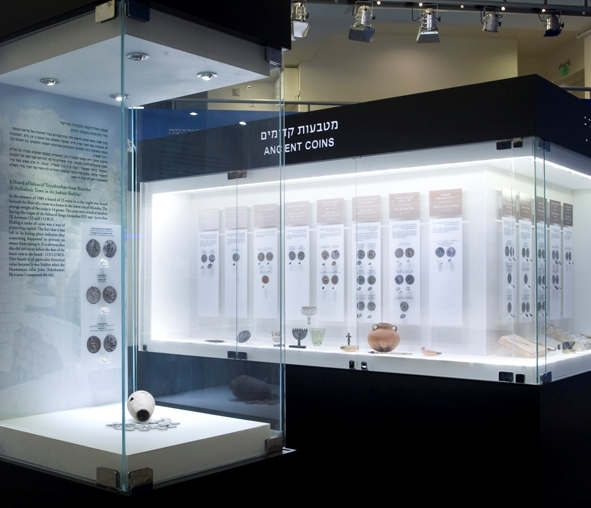 You can see an exhibit of ancient coins, and coins and bank notes issued by Israel's banks, starting from way before the State of Israel was founded. For kids and adults, there are interactive video games about the history of money, banking in Israel, and more, in both Hebrew and English. Entrance is free, but you have to schedule your visit between 9 AM to 4 PM. Call to schedule at Tel. 03-564-0781/2 or send an email to:miri.yair@boi.org.il or zadok.alon@boi.org.il. Almost all of Israel's banks are headquartered in Tel Aviv, the business and financial capital of Israel. Recently, a few banks have moved to nearby Ramat Gan to save costs. The first two, Bank Hapoalim and Bank Leumi are the largest and together make up sixty percent of the market. Bank Leumi is the oldest bank, founded in 1902 in London. Bank Hapoalim was founded in 1921, Mizrahi Bank in 1923 and Israel Discount Bank in 1935. These four banks were founded way before the founding of the State of Israel. the First International Bank is the newest, founded in 1972.